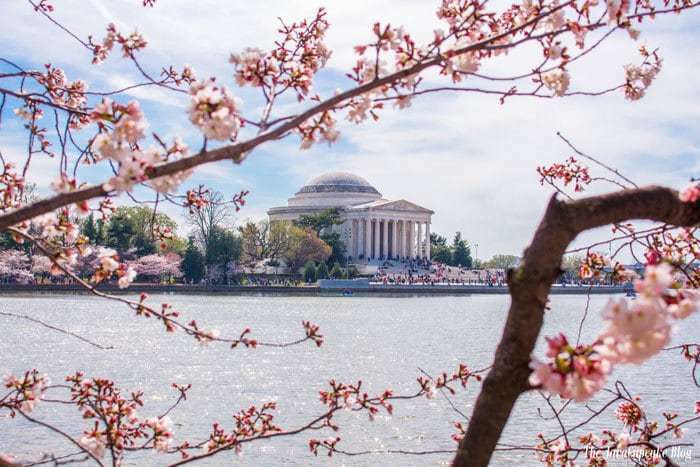 For only a few days in Spring, the Tidal Basin at The National Mall in Washington, DC shifts into beautiful shades of pink, white, and green in a magical celebration of the changing season! After living in Europe for 5 years, I was unsure of how I felt about moving back to the USA. Would America be able to “WOW” me like Europe did with its abundant sights, travel opportunities and whimsical appeal? 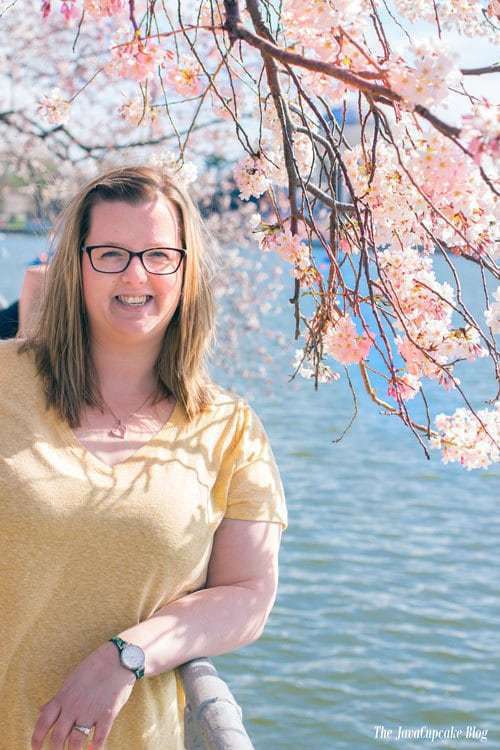 Yesterday, I visited the Washington DC Cherry Blossoms in the Tidal Basin at The National Mall and I was not only impressed, but overwhelmed by their beauty and magnificence! The blooms were about half open yesterday when I visited with the expected peak to be in the next day or two. There were a great deal of people visiting the Tidal Basin, but it wasn’t so crowded that I couldn’t stop to take these beautiful photos. 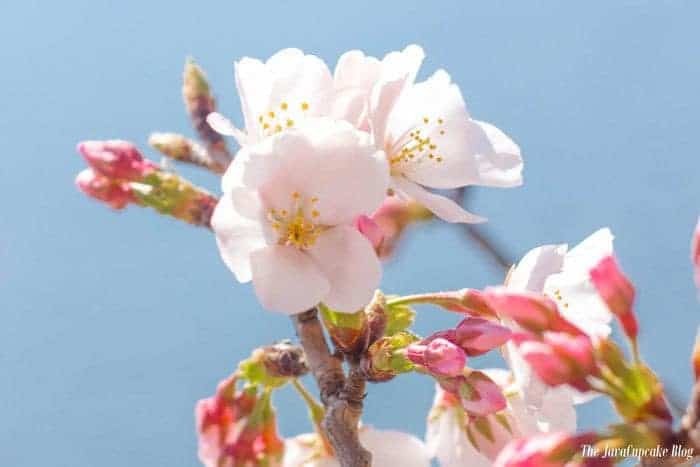 There is something so simple about the flowers on the cherry blossom tree that draws me in. Each flower is delicate and dainty, but put arranged together in their natural bunch, the blooms are a grand display of nature’s majesty. 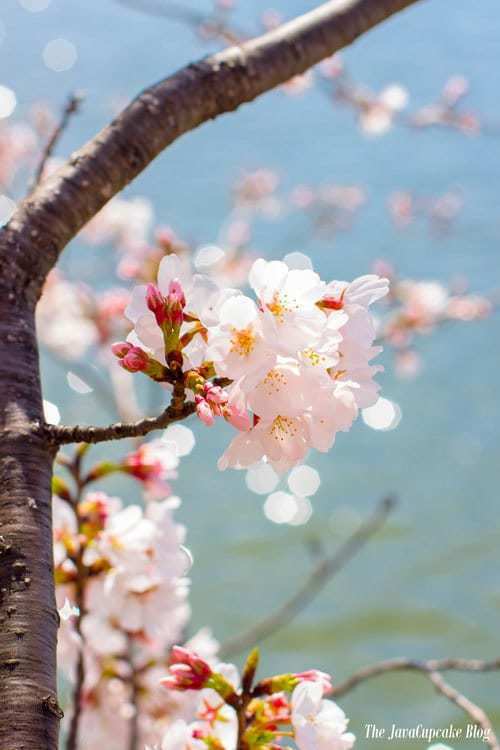 I could have spent hours sitting on the lawn surrounding the Tidal Basin gazing at the beauty of the cherry blossoms, watching the people, and enjoying the warmth of the sun shining down on me. It was glorious. 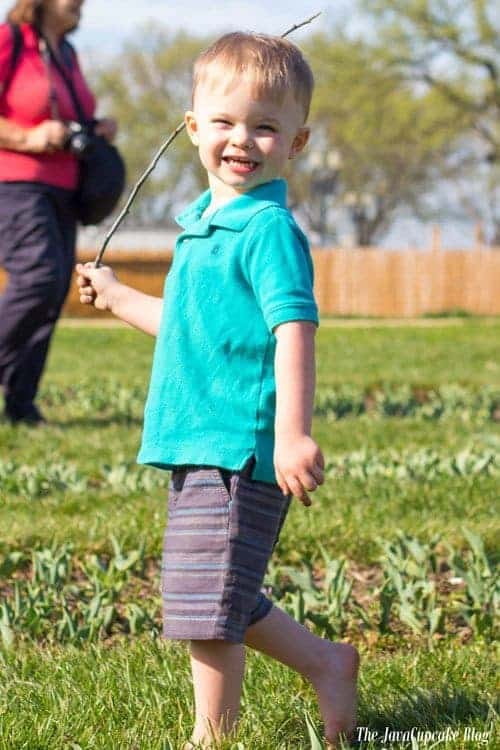 There were even a few tulips blooming already! 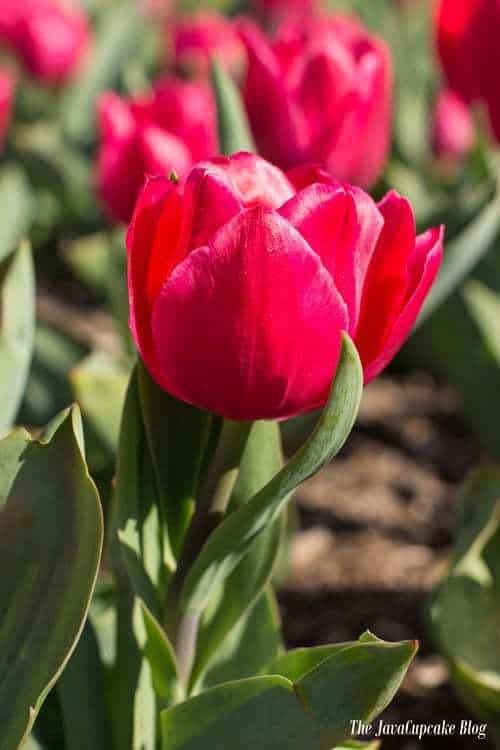 Tulips are my favorite flower and I am so excited to visit Burnside Farms in Virginia for one of the largest displays of tulips in North America! 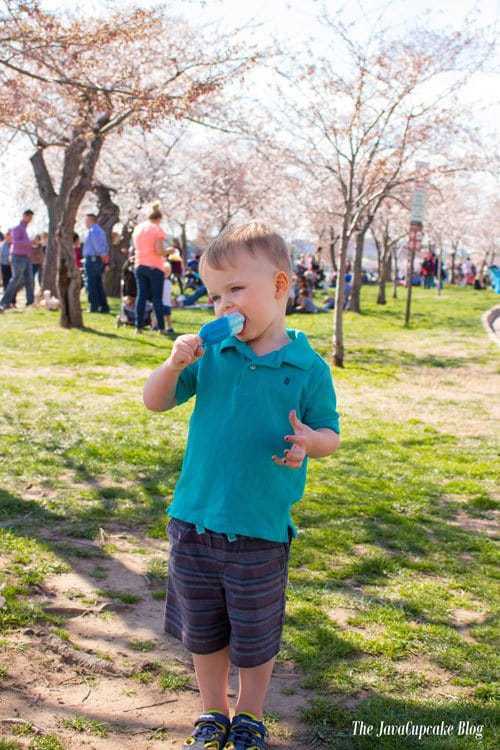 The National Park Service had a couple of cherry blossom stores set up around the Tidal Basin as well as an ice cream cart and food stands. Matty enjoyed a big popsicle and I had an ice cream sandwich to cool off. It was perfect. Just across from the Tidal Basin is the Washington Monument. On this visit to The National Mall, I had not planned on visiting the monument because I had seen it just a few weeks back. 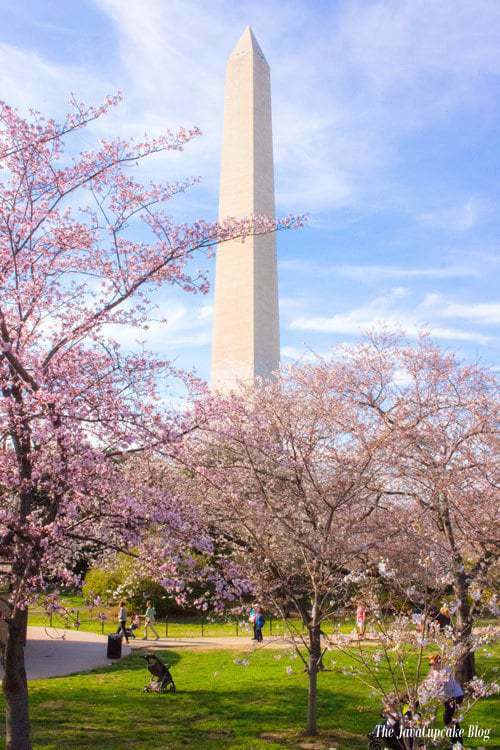 However, as we passed by it on the way to the Smithsonian (Matty wanted to see a “castle”) I saw a small patch of cherry blossom trees with the monument behind that I couldn’t resist snapping a photo of! 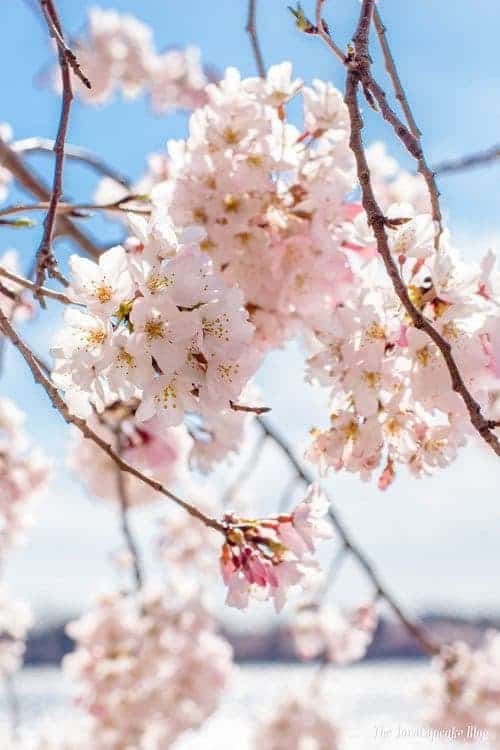 There are so many descriptive words that come to mind as I look at the beauty and massiveness of the Washington DC Cherry Blossoms. 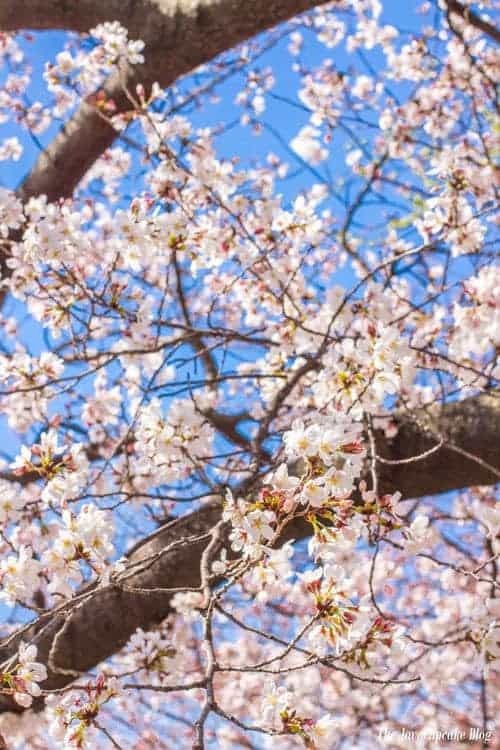 If you live in the DC Metro area or are planning a visit, I highly recommend you doing so during Spring so you can experience the Cherry Blossoms! 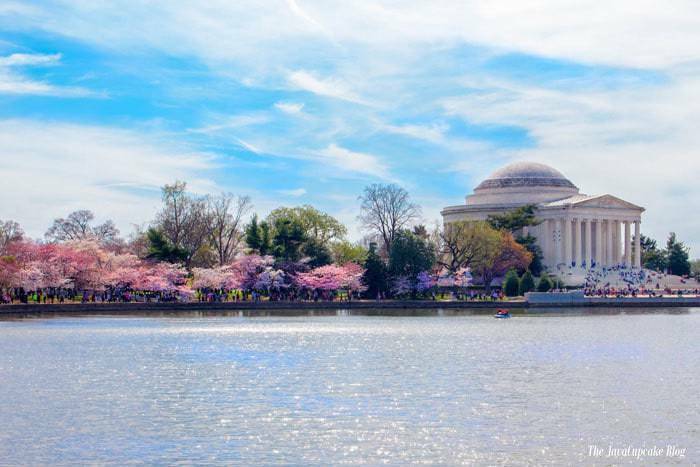 For more information about the Washington DC Cherry Blossoms, visit the National Cherry Blossom Festival website! 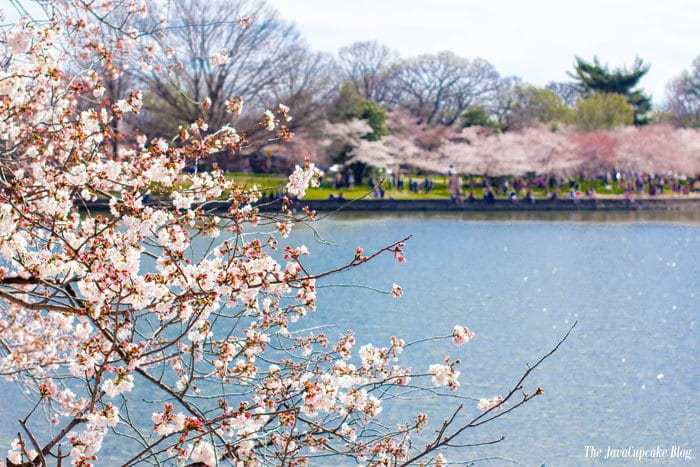 There’s even a live webcam of the Tidal Basin and the cherry blossoms if you can’t make in person, you can still see it! I really hope you make it out some day. It is quite beautiful!